Osmania University has announced the TS PGECET 2018 Result (Post Graduate Engineering Common Entrance Test) after the exam on May 28, 2018 for admission into Regular PG Courses in Architecture, Engineering, Pharmacy and Planning (ME / M.Tech. / M.Pharmacy / M.Arch), Technology and Graduate level Pharm-D (Post Baccalaureate)) courses for the academic year 2018-2019. The result is uploaded on the official website and students can obtain it by entering their Hall Ticket Number. TS PGCET (Telangana State Post Graduate Engineering Common Entrance Test) is a State Level Common Entrance Test conducted by Osmania University on behalf of Telangana State Council of Higher Education (TSCHE). TSCHE is a Statutory Body of the Government of Telangana, Hyderabad. Its main objective in conducting PGCET is to identify meritorious and motivated candidates at the State Level for admission to Post Graduate programs. The exam was conducted in Hyderabad and Warangal regions on May 28, 2018. Osmania University has announced the result on its official portal. Students can check their rank and scores obtained in the entrance test. 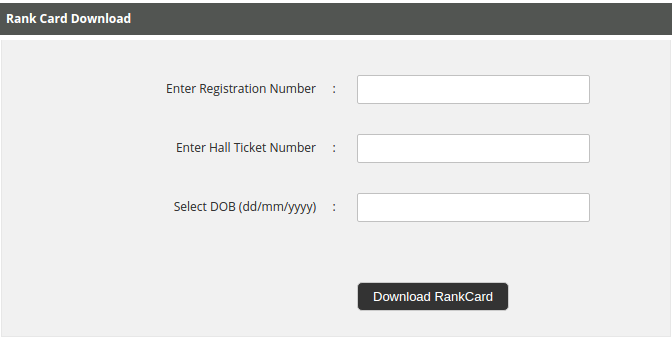 The same can be done by furnishing the authentic details such as hall ticket number. Students are advised to keep the result page as it will be demanded as part of the documents required at the time of admission. The same will be verified by the authorities. Visit the official link which is provided above or go to the official website. Enter your valid Registration Number, hall ticket number & DOB. Save/print the result for further rounds of the admission process. TS PGECET Result was obtained by the candidates using their hall ticket number as per the image is shown below. 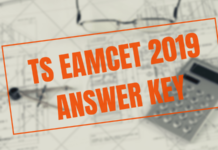 TS PGECET 2018 Answer Key and Response Sheet. Osmania University, Hyderabad has released the Answer Key & Response sheet of TS PGECET 2018. 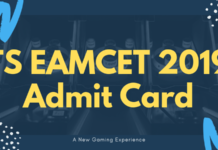 With the help of TS PGECET 2018 Answer Key, the candidate can cross-check their answer and calculate their probable score. Also, in the link provided below candidates can check the subject wise question key. With the help of this, the candidate can estimate their chances of qualifying the entrance exam, The University, shall also give provision to the candidate to raise an objection(s) if there is any in the Answer Key. The objections shall be submitted through online mode only. For further information, aspirants can check the links provided below. Last to last year the results were announced on 16 June for the exams that were conducted in the month of May/June. In 2016, nearly 40,000 candidates had appeared for the exam conducted in 18 different subjects.